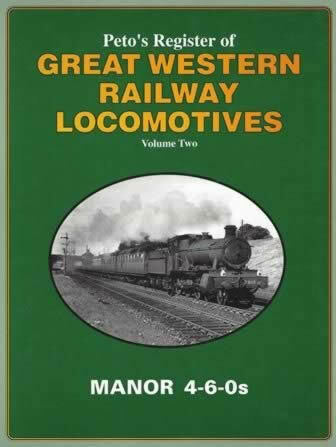 Peto's Register of Great Western Railway Locomotives Vol 2: Manor 4-6-0's. This book is new but the dust cover has received indentations and slight damage in storage. 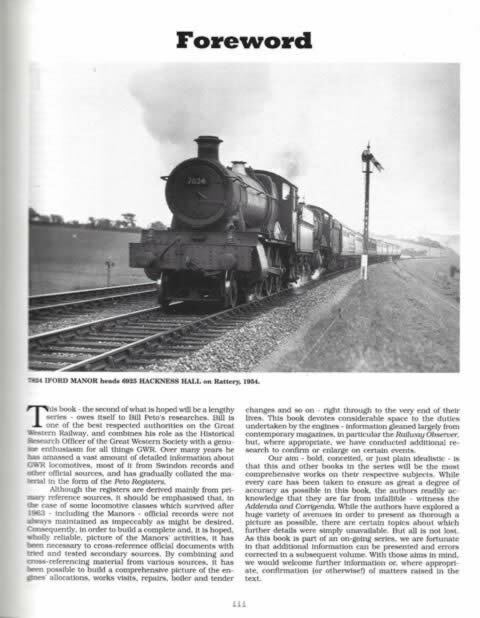 It was written by Martin Smith and was published by Irwell Press. An scanned image of the cover is shown for your information, and if you click on this a scanned copy of the Foreword from the book will be displayed.